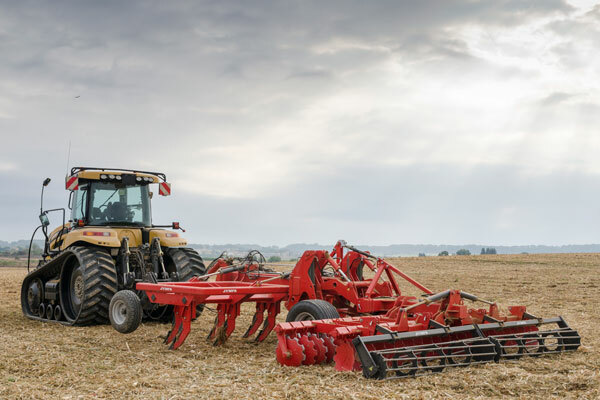 In the last two decades, tractors with great potential have appeared on the market, mainly for agricultural entrepreneurs with large areas of crops, where machines are needed for the most demanding jobs. Cover image: Bravo Till subsoiler with hydraulic safety and folding system SJ-9R-BT-OL-PH. Single-row subsoiler with safety and hydraulic folding system SJ-9-DS-OL-PH with single roller. 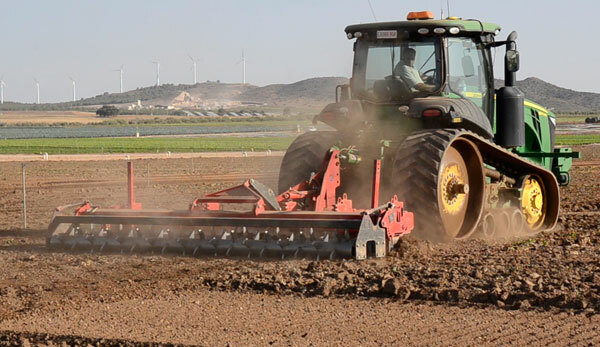 To meet the needs of these farmers, at JYMPA we have expanded our range of products and developed new technologies that maximize the power of these tractors. SJ-9-2F double-row fixed subsoiler with double roller. An example is the different types of JYMPA subsoilers (traditional subsoilers, two row, Bravo Till, looseners, etc. ), specially designed for tractors of great power. The main characteristics of these subsoilers are their robustness and their wide range of work, which allows working a wide area of ​​ground, while investing a lower amount of time. 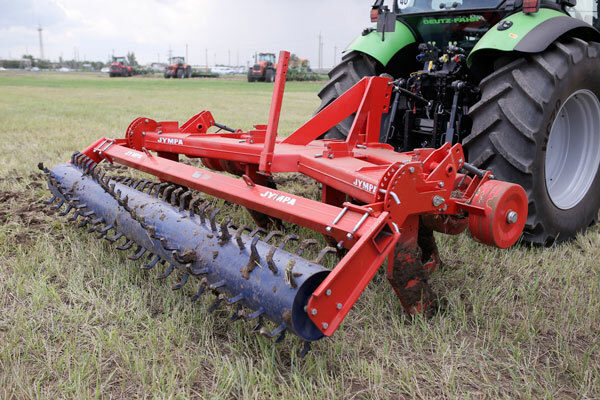 SJ-9-2F double-row fixed subsoiler with single roller. 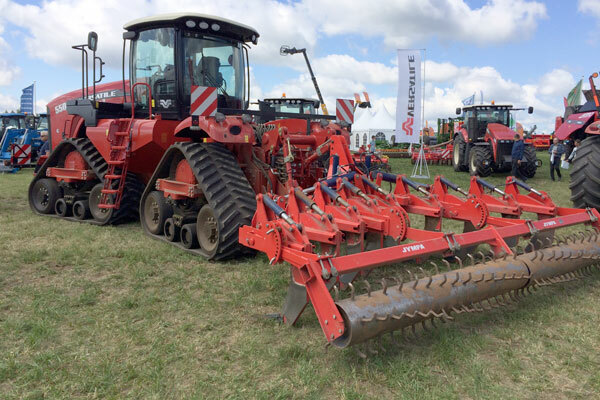 In addition to expanding the range of subsoilers, to meet the needs of large tractors, we have also developed multifunctional equipment such as Master Till that combine several machines into one to perform various tasks at one time. In this way, in addition to a reduction of working time, greater energy efficiency is achieved with a saving of up to 40% of fuel, and less soil compaction. 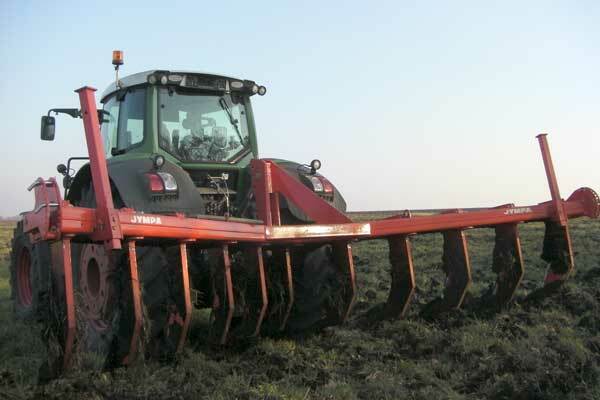 Combined equipment Master Till SJ-11B-2F-MT (Bravo Till subsoiler, quick disc harrow and roller). 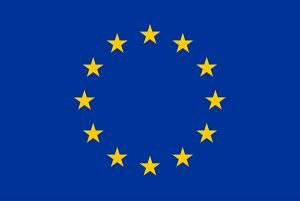 JYMPA 1971, S. L. ha participado en la MCD a Perú y Ecuador en marzo de 2019 y ha contado con el apoyo de ICEX, así como con la cofinanciación de Fondos Europeos FEDER, habiendo contribuido según la medida de los mismos, al crecimiento económico de esta empresa, su región y de España en su conjunto. Problemas con el servicio telefónico. Problems with telephone service. Debido a problemas técnicos ajenos a Jympa, no disponemos de servicio telefónico. Hasta que se solucione el problema, rogamos que todas las comunicaciones se hagan por correo electrónico a la dirección jympa@jympa.com. Due to external technical problems, we do not have telephone service. Until the problem is solved, please send all the communications to the email address jympa@jympa.com.